Take in the talent of local artists by traveling this self-guided tour. You’ll stop at art studios, galleries, shops, wineries, craft breweries and restaurants along the way. The talents of local artisans have recently enhanced the journey through the scenic beauty, rolling hills and pastoral farmlands of northwestern Illinois. 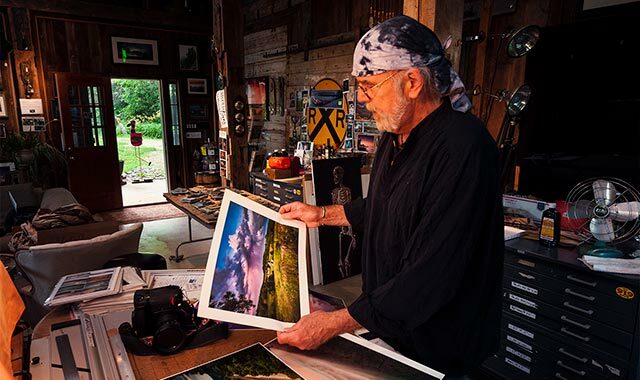 Currently in its third year, The Northwest Illinois Scenic Art Loop meanders through picturesque Jo Daviess and Carroll counties and features stops at local art studios, galleries, shops, wineries, craft breweries and restaurants. The 113-mile Loop runs all year and is self-guided, so tourists can tailor the stops to their interests. Parts of the Art Loop follow U.S. Route 20 as well as Illinois Routes 64, 78 and 84, so access is easy from any direction. Matthiessen says the Art Loop is an expanded offshoot of the monthly ARRT Drive. The main difference between the monthly ARRT Drive and the Northwest Illinois Scenic Art Loop is that the Loop covers a broader area and includes stops at wineries, craft breweries and restaurants. “We invited some of the major restaurants and establishments in the two-county area onboard the Art Loop to change things up a bit,” Matthiessen says. For example, Chestnut Mountain Resort, in Galena, Ill., is a stop on the Art Loop. “They have a gallery and gave ARRT their lobby to showcase art for as long as we would like,” he adds. Careful consideration is taken before an artist is included in the Loop. Both the Loop and ARRT offer a greater opportunity for tourists and locals to explore the cultural offerings of the region. To view the Art Loop route, or for more information on each location in the experience, visit scenicartloop.com. This entry was posted on Friday, August 17th, 2018 at 11:59 am	and is filed under Arts & Entertainment. You can follow any responses to this entry through the RSS 2.0 feed. Both comments and pings are currently closed.